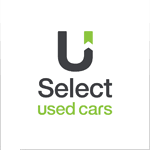 Underwoods Motor Group are the largest privately owned car dealerships in North Essex with over thirty years experience of retailing new and used cars. Our dealerships, equipment and systems are the most modern available to service and repair your vehicle. We are constantly investing in the latest technology to give our customers the best experience of the manufacture's we represent. Please take a little time to learn more about us as a business and the staff who are here to help.